By default, your homepage will also display your post feed, listing all of your latest posts for visitors to see. If you would like to instead have your homepage be a static page and your post feed display on a separate page, you can follow these instructions. First, create your new homepage and blog pages within WP Dashboard > Pages > Add New. 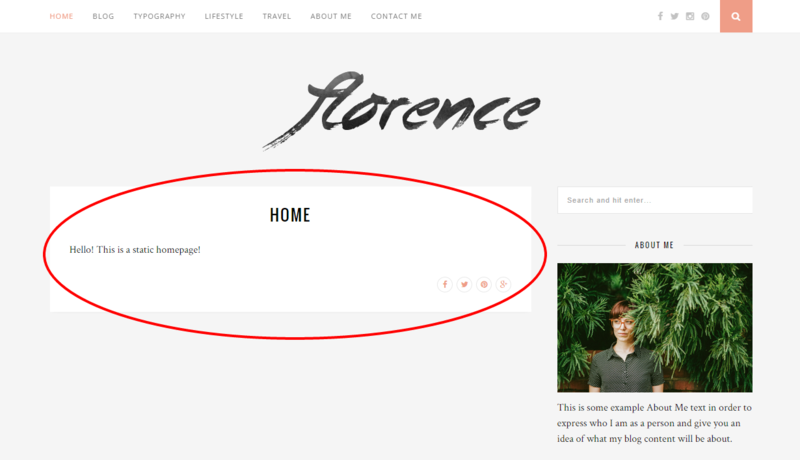 For this tutorial, we will be naming our static homepage "Home" and our post feed page "Blog". Next, navigate to Settings > Reading. At the top of this screen, you'll see a section titled "Front page displays" or "Your homepage displays". Click the little bubble next to the "A static page" option. From this option's "Front page" drop-down menu, select your newly created "Home" page. 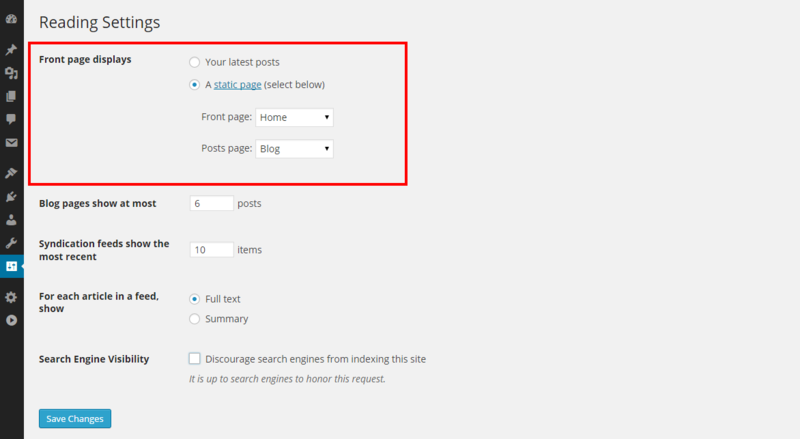 From the "Post page" drop-down menu, select your newly created "Blog" page. Be sure to save changes when you're finished. 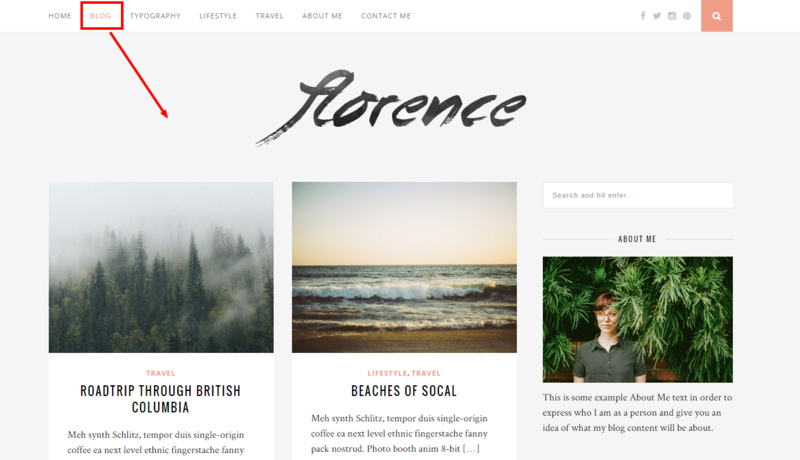 The last step involves adding your "Home" and "Blog" pages to your navigation menu. To do so, go to Appearance > Menus. Click the "Pages" drop-down menu on the left, check the boxes next to your "Home" and "Blog" pages, and add them to the menu. Drag and drop them to wherever you'd like them to be positioned in your menu. Be sure to save when finished. 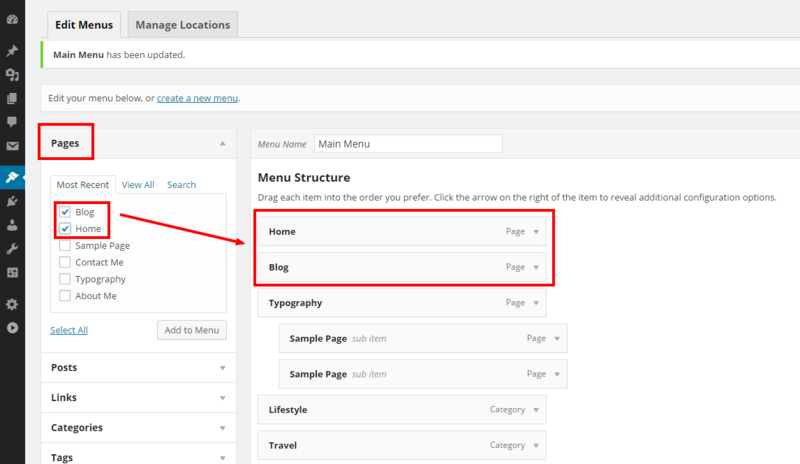 For more information and tips on setting up your menu, check out: How do I set up my navigation menu? Now, when you refresh your site, your homepage will display your newly created "Home" page and your "Blog" page will now display your post feed.